Fallen Branches, Limbs and Trees. We Have it Covered. The weather in Colorado can be very unpredictable, leaving your forest and landscape at risk of being damaged. Whether it is large hail, strong winds or a heavy Spring snowfall, trees are always susceptible to broken limbs, stress cracks and fractures. 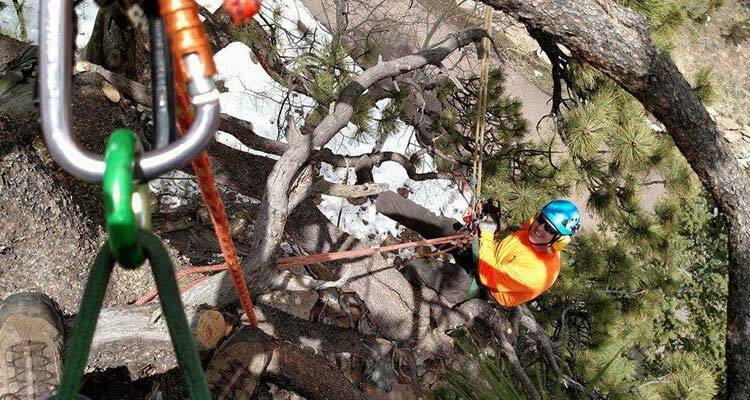 In many cases the tree can be saved by selectively thinning and pruning branches and limbs to strengthen the tree, however if a tree is damaged past the point of repair the Splintered Forest crew is able to safely remove the tree for you. 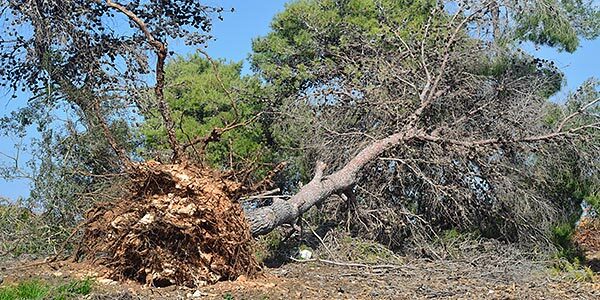 Most damage during a storm comes from trees and limbs falling unexpectedly. If you suspect your tree has been damaged, please contact the Splintered Forest crew immediately to assess the situation. It is also important to remember that rules and regulations for trees along streets varies by city. In some cases, it may be your responsibility to care for these trees near your property. If you are concerned about a publicly owned tree, start by contacting your city forester for information about the process for caring for that tree. Home (or business owners) can consult these organizations to determine if tree care workers have obtained any of these certifications. Is the tree healthy and vigorous? Has the main tree stem been lost? Is at least 50 percent of the tree crown intact? How big are the tree wounds?